While all eyes are on the flagship LG G8 ThinQ smartphone, the South Korean tech firm is reportedly also launching a entry-level smartphone in the form of LG K12+ at the upcoming MWC 2019. Ahead of the launch, images and specs of the LG K12+ has been leaked. The LG K12+ would most likely feature a 18:9 aspect ratio display without notch. As far as the resolution is concerned, it will be a HD+ at 720X1440 pixels. The LG K12+ is expected to be powered by a MediaTek Helio P22 chipset along with 3GB of RAM and Android 8.1 Oreo operating system. Other specifications of the LG K12+ is unknown and is expected to be revealed closer to the launch date. 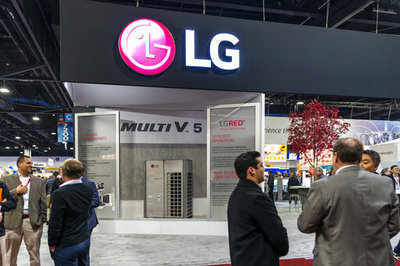 South Korean smartphone maker LG is all set to launch its latest flagship smartphone–LG G8 ThinQ smartphone at MWC 2019. The company has also started sending out invites for the event scheduled for February 24, where the company is expected to launch the smartphone. This flagship smartphone from LG will compete against Samsung’s high-end device Galaxy S10. Samsung will launch the Galaxy S10 at an event in San Francisco next month. The LG G8 ThinQ is successor to the last year launched Lg G7 ThinQ. As per earlier leaks and rumors, it is expected that the LG G8 ThinQ will sport a somewhat similar design like the LG G7 ThinQ. The smartphone is expected to come with a dual setup front camera for selfies. Just like the recently launched LG V40 ThinQ, the smartphone is said to feature a triple rear camera setup. Meanwhile, LG’s flagship smartphone of the year 2017 — LG V30+ has got a massive price cut in India. Launched at Rs 40,999, the smartphone has got a price cut of Rs 11,000.